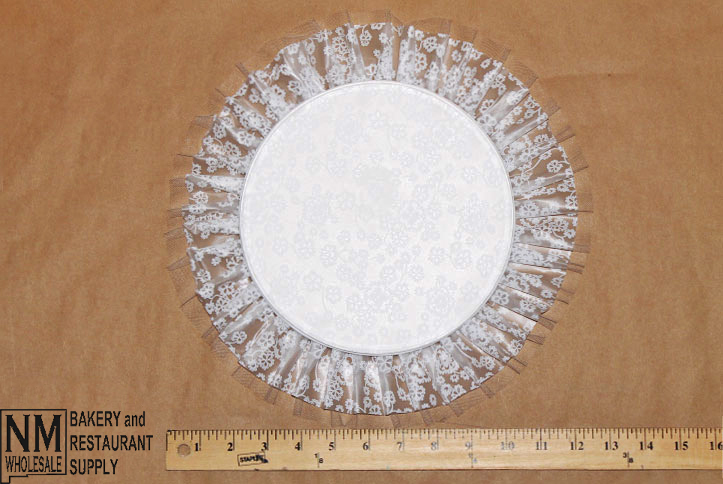 Add an amount of elegance to any pastry or cake with these decorative Paterson Pacific® 6" paper lace doilies. This item has ideal uses in a wide range of catering and bakery settings. Place these doilies under saucers, cups, platters, or bowls to accentuate your dishes and culinary creations. 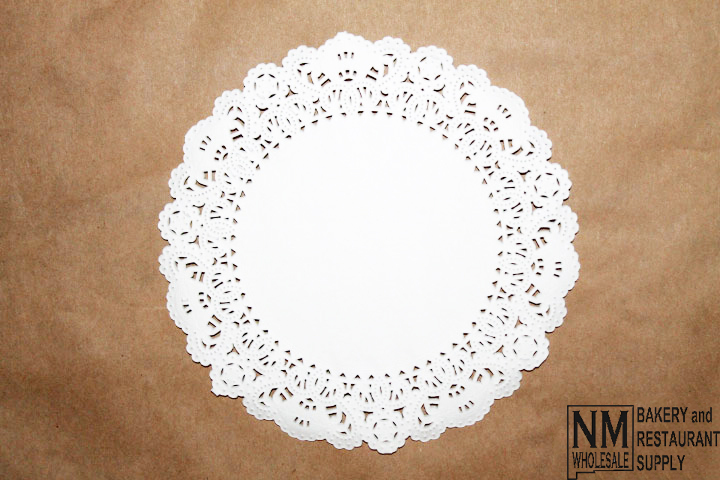 In addition to foodstuffs, these doilies also can be a decorative addition to any glassware decor or greeting / business cards. Add an amount of elegance to any pastry or cake with this decorative 8" cardboard and lace doily. This item has ideal uses in a wide range of catering and bakery settings. Place these doilies under saucers, cups, platters, or bowls to accentuate your dishes and culinary creations. Not only are these pads eloquent, they're also very functional in any bakery, restaurant, or catering setting; they provide sturdy support for weighted items. In addition to foodstuffs, these doilies also can be a decorative addition to any glassware decor or greeting / business cards. 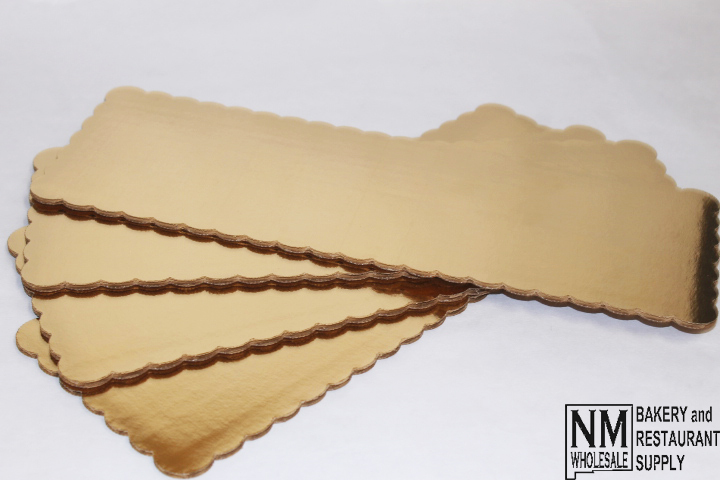 Add an amount of elegance to any pastry or cake with this decorative 5 by 14 inch gold cake pad. Made in the US, this product is perfect for stylistically displaying a wide range of baked goods. Not only are these pads eloquent, they're also very functional in any bakery, restaurant, or catering setting; they provide sturdy support and are grease-resistant. 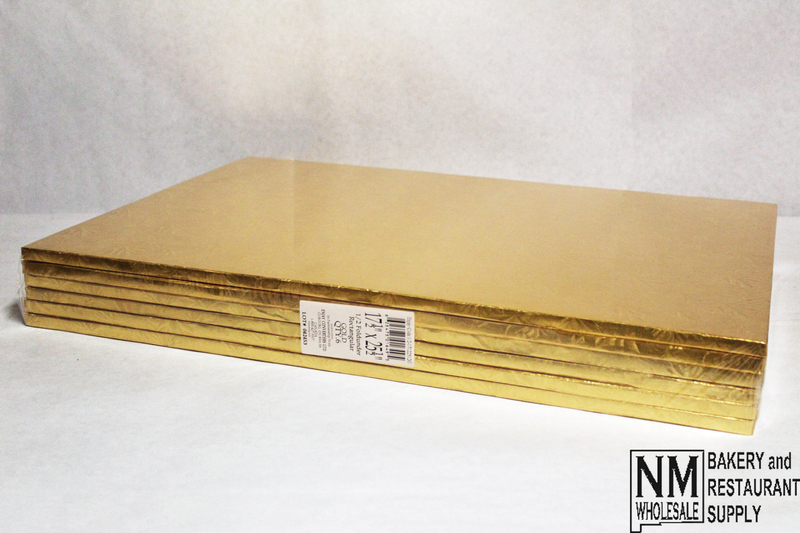 These heavy duty full-sheet ENJAY® cake boards are great for carrying and displaying larger and heavier cakes. The boards are wrapped on all sides with foil paper embossed with an elegant pattern. These cake boards are ideal for any bakery, restaurant, or catering setting.